The new 2020 Volkswagen Passat is a vehicle that provides endless possibilities! With great comfort, exceptional entertainment, and a ton of technologies, the new Volkswagen Passat is designed to deliver! Continue reading below to learn more about what this great vehicle has to offer you! Spring is here and the snow is melting, and that means that it’s time to get out and enjoy the better weather while it’s here! One of the best ways to do this is to partake in events in your local area with friends and family, and we at Volkswagen of Kingston have created a small list of events that you might enjoy! Continue reading below to learn what events you can partake in early this spring! 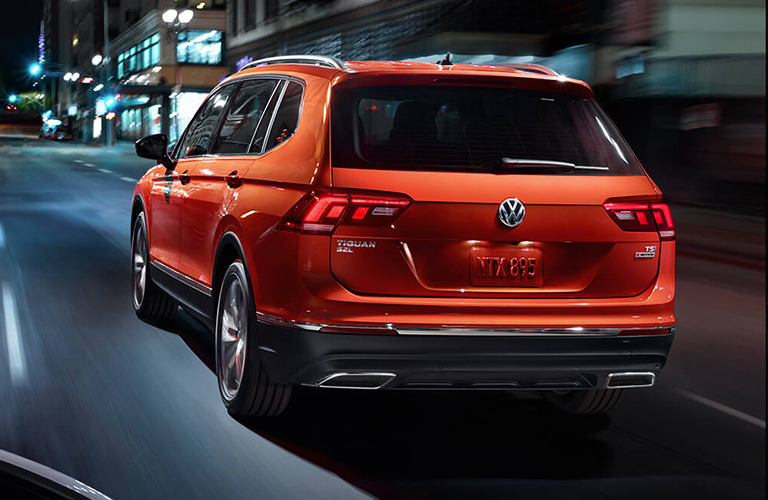 Volkswagen is pleased to announce that Cars.com has named its compact SUV the Volkswagen Tiguan as the “Best Compact SUV of 2019!” For the second Cars.com ranking thus far, this excellent vehicle has received the distinction of “Best Compact SUV,” and has competed against six other models in order to achieve it! It won over judges with its list of great features, including a comfortable interior and a sophisticated multimedia system. Continue reading to learn more! Prepare your Vehicle for Spring with These 5 Tips! 5 Tips to Prepare your Vehicle for Spring! Spring is here, or at least right around the corner, and that means warmer weather is hitting us soon! And while the warm weather is welcome, it does mean that it’s time to look at your vehicle to make sure that any winter damage was taken care of quickly. To help with that we’ve compiled a list of various tips on how to tackle your spring maintenance! Continue reading below to learn more! When it comes to exceptional exterior color options, as well as great interior features and technologies, the 2019 Volkswagen Atlas is designed to please! This is an SUV that allows you to personalize your experience to the best of your ability, giving you a truly personal vehicle! Continue reading to learn more about what color options you have! Does the 2019 Volkswagen Atlas Feature All-Wheel Drive? When it comes to big power and performance, the new 2019 Volkswagen Atlas is an SUV with a ton to offer you! This vehicle delivers amazing performance no matter where you drive, or what kind of terrain you encounter! With a strong engine, excellent drive systems, and amazing transmissions, the new Volkswagen Atlas is guaranteed to please! Continue reading to learn more about this amazing vehicle and what it offers! What Technologies Will be on the 2019 Volkswagen Arteon? When it comes to amazing interior features and technologies, the 2019 Volkswagen Arteon has a ton of systems to offer you! These features, ranging from entertainment and infotainment systems to multimedia suites, the new Volkswagen Arteon is guaranteed to please you! Continue reading to learn more about this great vehicle! Does the 2019 Volkswagen Atlas Have Apple CarPlay? When it comes to vehicles that offer fun and entertainment in a big fashion, the 2019 Volkswagen Atlas is an SUV that delivers all you could want and more! This great vehicle offers amazing features and systems, especially in terms of infotainment and entertainment, including the available Apple CarPlay™! Continue reading to learn more about this great vehicle! What Volkswagen Vehicles Feature Apple Carplay? What is Apple CarPlay and What Does it Offer? Smartphones are a huge part of modern life, especially when it comes to your daily routine, and having the ability to connect your phone to your vehicle can be a welcome feature. Thankfully, those with Apple phones will be happy to know that many Volkswagen models feature the ability to do just that, making your daily commute a more enjoyable one! It does this through the great Apple CarPlay™ system. Continue reading to learn more about this feature, as well as what Volkswagen models offer it! What Performance Features are on the 2019 Volkswagen Jetta? When it comes to excellently designed vehicles that have been improved in all ways possible, from shape, style, and performance, the 2019 Volkswagen Jetta is perfect for you! This vehicle is packed full of excellent features and systems, especially in terms of its engine and many performance-enhancing technologies! Continue reading to learn more about what this great vehicle has to offer!